Be the first to share your favorite memory, photo or story of Dr. Melvin. This memorial page is dedicated for family, friends and future generations to celebrate the life of their loved one. Dr. Melvin Thomas Steely passed away peacefully at his home in Carrollton GA on Sunday, January 13, 2019 at the age of 79. Dr. Steely was born May 9, 1939 in Atlanta but grew up in Cedartown, Georgia Where he played football and graduated from Cedartown High School. He proudly became an Eagle Scout, and was a youth leader in his church. In 1961, he graduated with honors from Carson-Newman College in Jefferson City Tennessee with a B.A. in History. He received his Master’s and Doctorate degrees from Vanderbilt University. In 1964, he began employment at West Georgia College where he taught Modern European and German History. He served as local and state president of the American Association of University Professors. He was appointed to multiple terms on national committees for AAUP and was the recipient of their National Sumberg Award and the State Akin Award. For twenty years he was a lobbyist for Georgia AAUP. He also served as president for the southeast region of The Historical Society and held the rank of Professor of History at the University of West Georgia, where he was one of the longest serving members of the faculty. He retired in 2004 after 40 years in the classroom. After departure from teaching, he continued working as Director of The Georgia Political Heritage Program which he founded in 1985. Dr. Steely was introduced, as a boy, to politics by his father and it became something of an avocation. Through the years he worked in political campaigns for both Democratic and Republican parties. For 24 years he was the faculty advisor to the college Republicans, and served as an aide to members of the Georgia House and Senate. He worked tirelessly to elect Newt Gingrich to the U.S. House of Representatives and then became an administrative aide to Congressman Gingrich for 13 years. He was chosen as Gingrich’s biographer and the curator of his archives at the University of West Georgia. He was a member of the Mattingly Senatorial Patronage Committee. He was the director of the Georgia’s Political Heritage Program at UWG and served as curator for the Speaker Thomas B. Murphy and Congressman Bob Barr collections. He also served as National Coordinator for the Earning by Learning Reading Program. Dr. Steely was involved in numerous civic organizations, such as, the Moose and Elk Clubs, Sons of Confederate Veterans, and a board member of the Churchill Society. He was a senior member of the Carrollton Kiwanis Club where he received their Legion of Merit award for service and was a Hixon Fellow. He was a member of Gov. Busbee’s Committee on Post-Secondary Education, Gov. Miller’s Committee on Quality Core Curriculum Revision and the Georgia Civil War Commission under Gov. Perdue. He received the Governor’s Award for Lifetime Achievement in the Arts and Humanities from Gov. Deal and both the Georgia and Southeast Library Association’s Charles Beard Award. 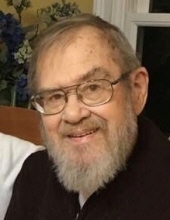 He was an active member of the First Methodist Church where he served on the Administrative Board and was a long-time teacher to the Men’s Bible Class. Dr. Steely was preceded in death by his parents, Henry T. and Katherine Patrick Steely and a grandson, Jonathan Vernon. He is survived by his wife, Nancy Kunz Steely, daughters, Bonnie Vernon and Karen Campbell and by sisters Cathy Steely and Elaine (Verlon) Marshall. Also by grandchildren, Johnny and Chelsea Vernon, Patrick (Taylor), Jessica and Luke Campbell and great-grandchildren Tucker Harvey, Bradey (Aimee) Harvey and great, great granddaughter Sailor Harvey. Pallbearers will be, Patrick Campbell, Luke Campbell, Johnny Vernon, Tucker Harvey, Brady Harvey, Vance Campbell, Tyler Sweat, and Phillip Allen. Honorary pallbearers will be Carrollton Kiwanis Club, First Methodist Men’s Bible Class, and Son of Confederate Veterans. Funeral services will be conducted at Carrollton First Methodist Church on Wednesday, January 16 at 2:00 p.m.
A gathering of friends and family will be held at Almon Funeral Home 548 Newnan Street, Carrollton Georgia, Tuesday, January 15, from 5-8 pm. In lieu of flowers, donations can be made to the Georgia Political Heritage, University of West Georgia Foundation, 1601 Maple Street, Carrollton, Georgia 30118. "Email Address" would like to share the life celebration of Dr. Melvin T. Steely. Click on the "link" to go to share a favorite memory or leave a condolence message for the family.